I shared the concept on twitter and got a HUGE response from other educators sharing their comics and their students’ comics. 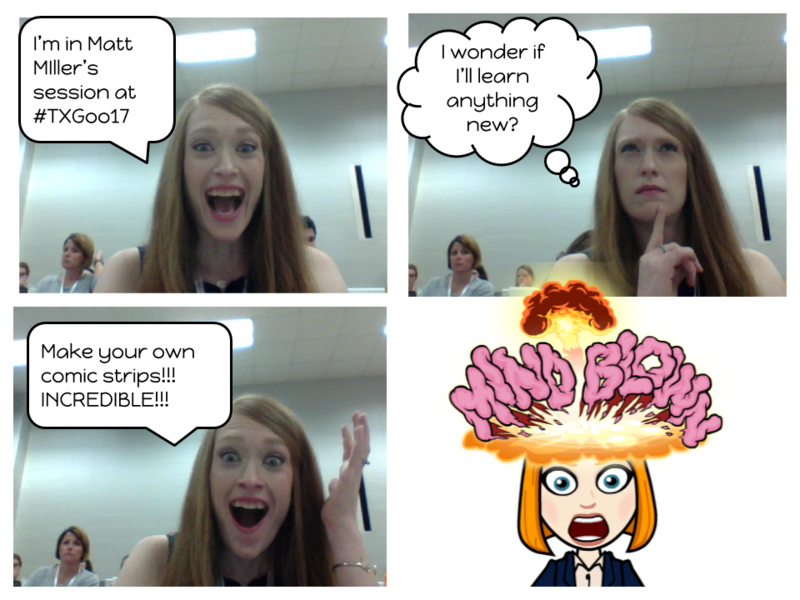 Creating comic strips like the ones above is fast and easy with little explanation of what to do for students. 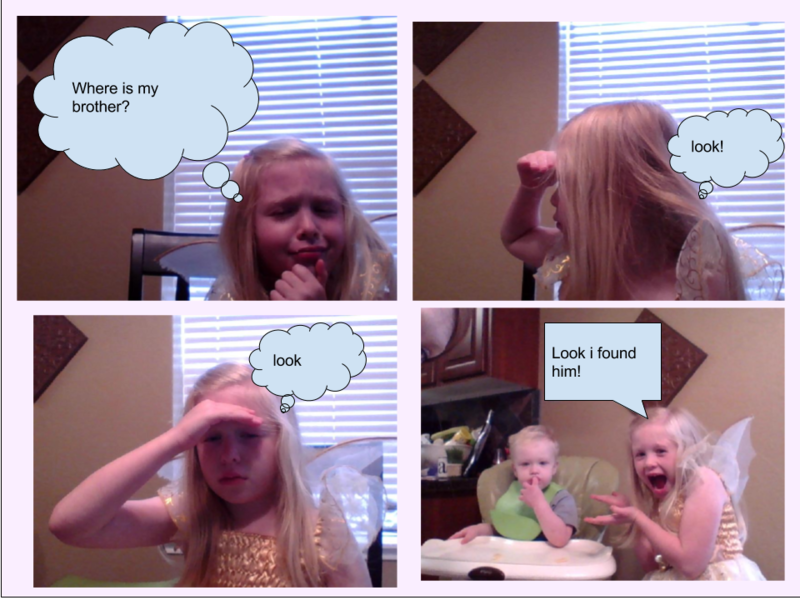 I’ve made a few more since learning about this cool use of Google Drawings, but I tend to take lots of time trying to get all of the pictures lined up just so and making sure all the fonts are just right, and trying to make it look more like a real comic strip. I realized I needed a template where a lot of the hard work was already done for me! So I created two! One square, like the images above, and one long strip – like you would see in the newspaper. The benefit here is that you can drop your images in quickly and the sizing and background is already set up for you (and/or your students). Additionally, if you like the comic-strip-y font I’ve selected, if you click on and select one of my example text bubbles before inserting your own, the new text bubble will AUTOMATICALLY take on the same attributes – white fill, thick black border, and comic-y font – instead of the default light blue background that all shapes take in Drawings. Another Google Drawings tip to note is that you can send objects behind or in front of other objects by right clicking and choosing “order”. This will help get your title on top with “Bring to Front” or move your image behind a text bubble with “Send to Backward”. You can download your completed comic strips as .pdf, .png, .jpg, or .svc files. Enjoy! Leave a comment! And share products you or your students create! Where have you been? I LOVE your ideas and LOVE that you share! You Rock! Well… THIS just made my day!!! Super excited to connect with you 🙂 Thanks! Your ideas about comics and meme are really awesome! So simple but so effective! Indeed Google Drawings is a so underestimated tool, and you have shown how much powerful and versatile could be.